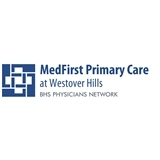 MedFirst Westover Hills Primary Care Clinic (San Antonio) - Book Appointment Online! If you are a New Patient, please arrive 30 min early so we can complete your registration. please fill out our New Patient packet online and bring it with you to your first appointment. Also remember to bring in any medications that you are currently taking. MEDICAID PATIENTS: We are not contracted to provide physicals or vaccinations. We can treat Medicaid patients for sick visits only. Thank you and we look forward to seeing you soon. Dr Kumar was seeing me for the first time. I have had extensive medical issues in the past and he reviewed several Doctor assessments and then discussed my health and how we will be moving forward with my medical attention in his hands. I am quite confident that he is very knowledgeable and quite capable of serving my medical needs. He is very personable and friendly.